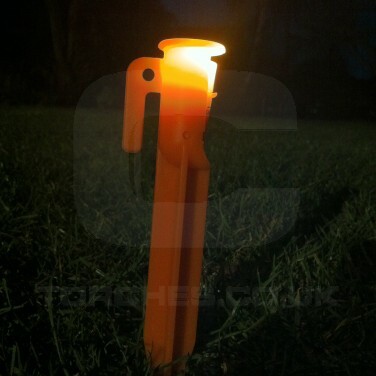 Illuminate hazards and prevent trips and falls outside your tent at night with LED tent pegs. 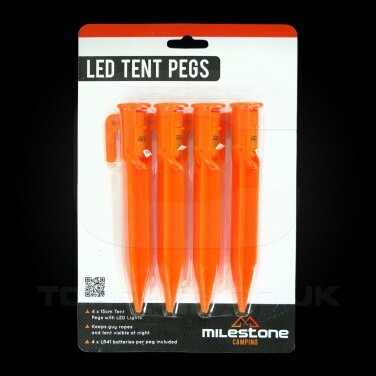 Each tent peg contains a white LED that sits in a directional handle so that you can shine the lights at multiple angles to highlight specific areas around your tent. 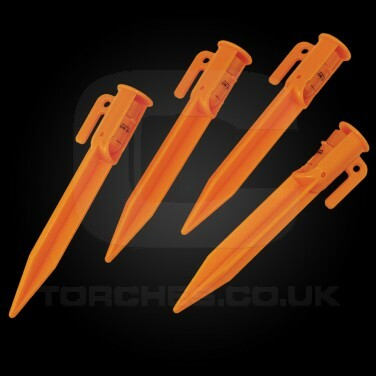 Coloured orange for high visibility during the daytime too, these high visibility tent pegs are ideal for busy campsites, not only do they illuminate your tent guy ropes but they guide you to your tent at night too.